Thrashers Training Camp: As the summer nears a close, the Three Hills Thrashers are preparing for the ninth season in the Heritage Junior B Hockey League. They will host their training camp the last weekend of August, beginning on Friday, August 27 and concluding with the black & white intrasquad game on Sunday, August 29. 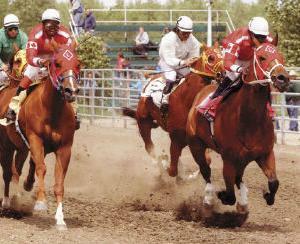 FORT WORTH, Texas - The Millarville Paint Stakes was won recently by Flaming Lake during the 105th running of the Millarville Races in Alberta, Canada. Their annual races take place during their July 1 Canada Day celebrations held by the Millarville Racing and Agriculture Society. The $6,811 stakes race for horses aged three and above is contested over a 350-yard distance. Flaming Lake crossed the finish line first, with a time of 18.67 seconds. 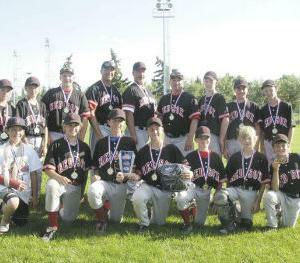 Acme Red Sox are 2010 Provincial Champions! The Acme Red Sox earned the Provincial Pee Wee Competitive Tier 2 title in Camrose, July 23-25. The Red Sox entered the championship tournament ranked #4 of 8 teams. Two local runners, Lisa Calverly and Devin Woodland, recently participated in the Cochrane Challenge, a half-marathon held on Saturday, June 12. Woodland finished 3rd overall and first in the U20 category. This past weekend, Sunday July 10, Devin competed in the Canmore Challenge (8 km run) held at Canmore Nordic Centre and won first place.